How to create a team? – Hey. Ask us anything! We came up with the ability to @mention teams just for that! 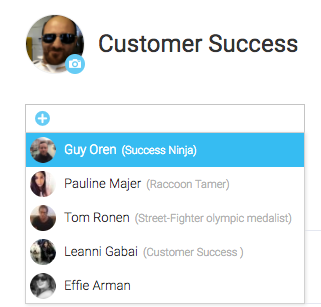 By creating a team you can communicate with a large audience in just one click. On right side you will see an option that says "New Team". Add a picture by clicking on the camera icon. You can upload a picture from your desktop. This feature is super useful specially if you are using the team column. 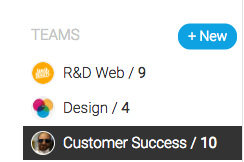 Once your team is created, you can go to any pulse and @mention your team in one click. All the members of your team will receive a notification on the bell. You can also mention your team on a specific status by adding a note. Why should you create a team? Click into the pulse, and you will be led into the Pulses Update feed. To the right hand side, you should see an option that says "Add Subscribers"
This is where you should type in the teams name. At monday.com each department has its own team (i.e. : customer success, HR, R&D) which really helps in keeping everyone in the loop. The communication between teams is easy and smooth. By default you can also @mention everyone in your account, as well as everyone on a specific board. Assign pulses to an entire team! Start assigning your teams to your different pulses! All your team members will be notified that they have been assigned to a new pulse! If you have any further questions about creating teams please don't hesitate to reach out to us anytime right here. Can multiple people work on one project?